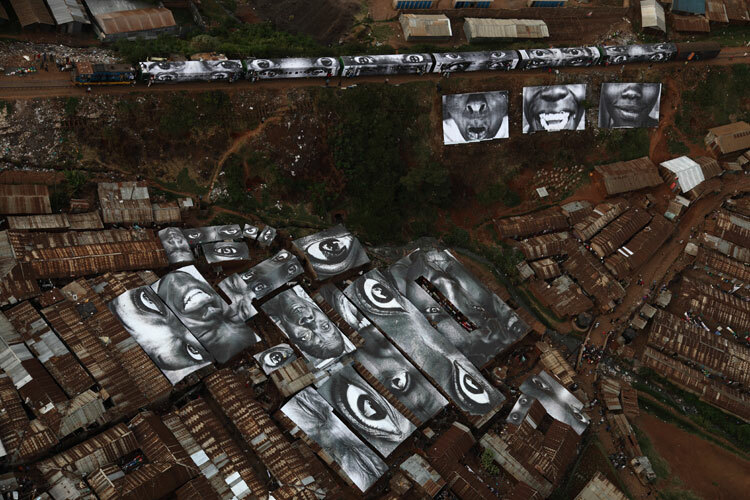 There is something to be said when you see JR's photography pieces in the slums of Brazil or the Louis Philippe Bridge in Paris, it's definitely something you've never seen before and also makes me think how the hell does he pay for this stuff?! Regardless of the mundane teeny details on economic factors and a little thing called law, what he does and where he does it is pretty damn cool. Covering large parts of rooftops, walls, bridges, stadiums his portraits go up so we have something different to look at while we walk by. His projects are full of up close emotions and feelings expressed by way of people's faces mostly, it did start however with illegal postings of suburban "thugs" portraits in Paris on 2006. Makes you see that what may seem ridiculous in thought or impossible to act out by art can and will be done by you or someone else. Sure some folks will be pissed when they look out of the window and see a huge eye staring back at them, but who's to say you have to love/understand everything you see in this? Acknowledging art in its various and sometimes scandalous forms is what makes this soo beautiful and grand. 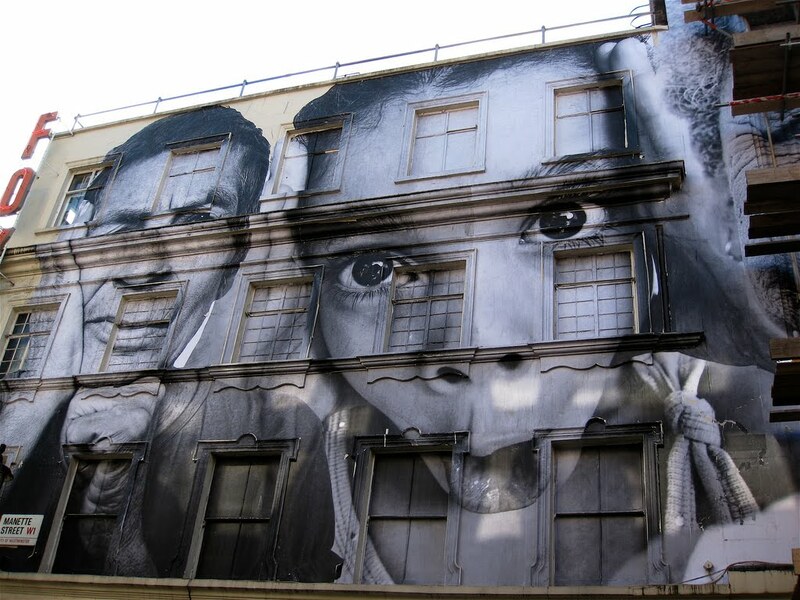 Something as simple as someone's portrait adorning a rooftop or a wall can make you see things differently. It also welcomes a change of pace sometimes to the rather drab or dreary, which adds conversation to whom you interact with during your travels. 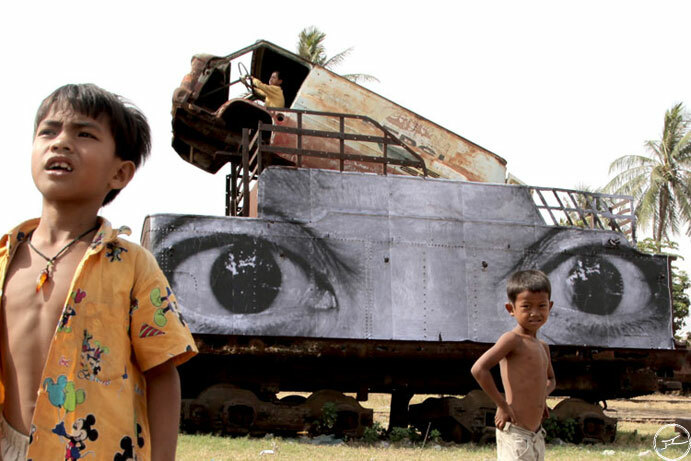 I see the marvel and beauty in JR's work because it adds a different perspective in looking at life with its emotions and also is a great example of good photography. 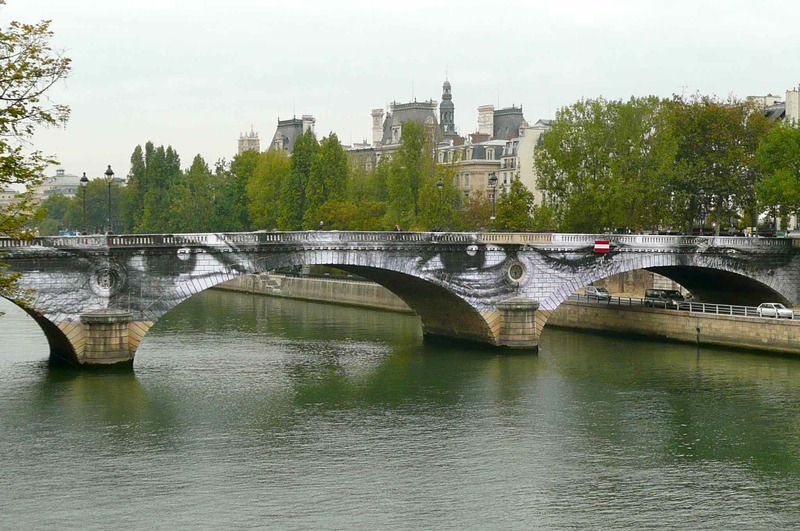 Below is the video special on the Paris Louis Philip Bridge piece in 2009 that you see here.